- We believe in and provide comprehensive sexual and reproductive health care for all. - We believe everyone should have access to our services regardless of their ability to pay. - We are, and always have been, the fearless voice of progress for the rights of women and reproductive health care. - We support people in making healthy choices throughout their lifetimes. 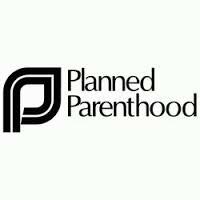 At Planned Parenthood we provide health care, education, and advocacy programs to help women, men and families make informed, responsible decisions about their personal health as well as the health of their communities. When you choose to visit Planned Parenthood, your voice is being heard.